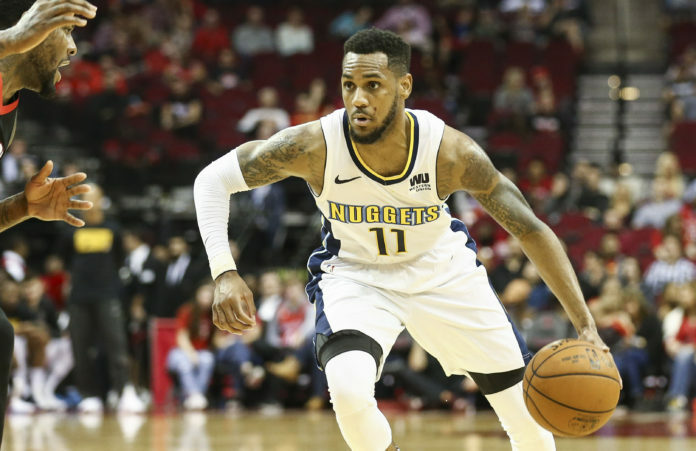 According to Shams Charania of Yahoo Sports, the Denver Nuggets have converted Monte Morris’ two-way contract into a three-year NBA deal worth $4.8 million. The third and final year of his contract is not guaranteed. Morris being converted to a full NBA contract has been a topic of discussion since the Nuggets 2017-18 season ended. Denver was without a true backup point guard to play behind Jamal Murray up until Isaiah Thomas agreed to join the Nuggets on a one-year deal worth just $2 million. 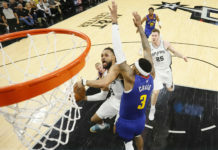 That put the chance of converting Morris’ deal in doubt, but after a strong showing in Las Vegas for summer league, Morris earned himself his first full NBA deal with strong and savvy point guard play. 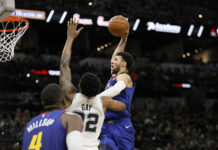 Morris averaged 17.5 points, 3.3 rebounds, and 6.3 assists per game over four summer league games and, over 112.4 minutes, he only had five total turnovers. Morris shot 50 percent from the field as the primary offensive option and hit 5-14 three-pointers, good for 35.7 percent. 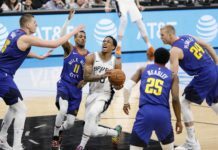 Morris was the most efficient and consistent offensive player for the Nuggets at summer league and it seems the Nuggets have faith in him to act as the third point guard on the roster. Thomas was just as explosive in the G-League last year too. Over 37 games with the Rio Grande Valley River Vipers, Morris average 18 points, 4.5 rebounds, and 6.7 assists against just 1.9 turnovers while also racking up 1.8 steals per game in the process. He shot 47.3 percent from the floor and 34.4 percent from three-point distance. Morris takes up the 15th and final guaranteed roster spot, but vacates one of the Nuggets’ two two-way contract slots in the process. Denver now has just $1.1 million of their taxpayer mid-level exception left to use and no guaranteed roster spots left to fill. Outside of signing another player to their final two-way contract or finding a trade that betters the roster, the Nuggets offseason is seems finished now that Morris has been converted.